"I'm really excited about this partnership between myself, DC Shoes and The Keep A Breast Foundation," said Block. "Keep A Breast is a great organization and their work is truly inspiring. They're offering programs and support for young women that have been impacted by breast cancer and are also making sure that they market themselves in a way that gets the attention of a younger generation, helping generate greater awareness. In my mind this partnership was a no-brainer for me and I'm glad that DC felt the same way and that we were able to put this program together. Hopefully these shoes help generate a lot of donations!" Shoes with the goal of raising both awareness and money for Keep-A-Breast, a non-profit organization that helps young women who have been affected by breast cancer, as well as help raise awareness of the disease. 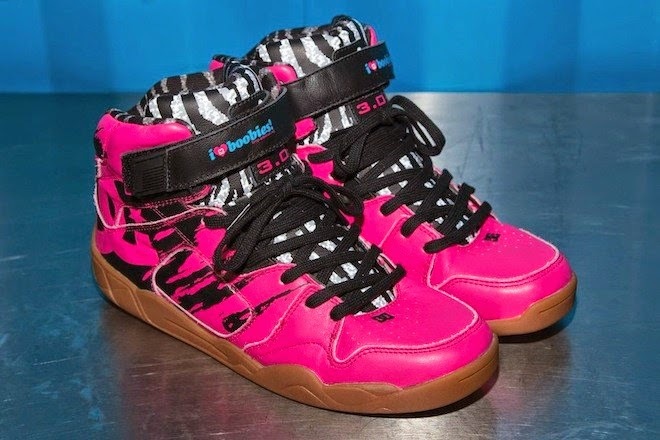 Starting with X Games, Block will be wearing a special pair of pink DC Pro-Spec 3.0 shoes for each of his remaining Global Rallycross races this season. After each event, those shoes will go up for raffle on the Keep-A-Breast website where fans and supporters can enter for the chance to win the shoes. Every raffle ticket purchased will also enter fans into a final drawing at the end of the season for a grand prize which includes round-trip airfare and accommodations for a lucky fan to go meet Block as well as take a ride in his rallycross Ford Fiesta ST RX43. Block and DC Shoes worked with Keep A Breast to design the all-pink custom shoe, featuring the organizations “I Heart Boobies” mantra. Block will wear one of the nine pairs at each of the remaining Global Rallycross race this year (kicking off with summer X Games in Austin, TX this weekend), with the worn pair being set for auction on keep-a-breast.org following the race. Fans will have the opportunity to donate to Keep A Breast to gain raffle tickets for each GRC race. One raffle ticket will be given for every $5 donation, offering an increased chance to win with a greater donation amount. The first pair of Ken Block x Keep A Breast driving shoes will be set for auction following X Games Austin on June 5. Visit the DC Shoes Facebook page for further details on how to donate to win Block’s limited edition Keep A Breast driving shoe, and for the full auction schedule. Fans can join the conversation on social media with #DCxKBxKeepABreast.